3 Bedroom Terraced House For Sale in Liverpool for Asking Price £75,000. 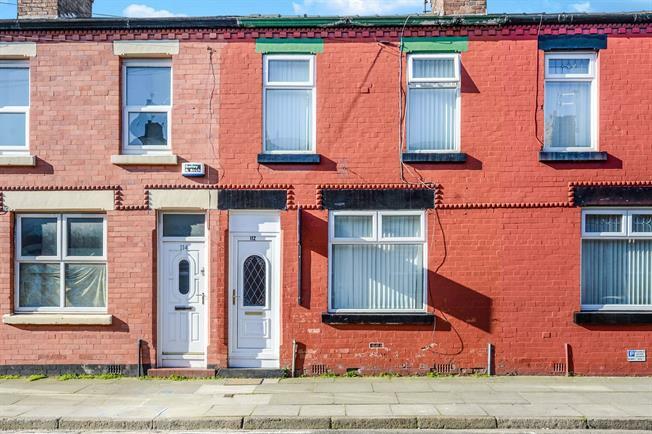 Entwistle Green are pleased to bring to the sales market this three bedroom mid terraced house, situated on Chesterton Street in the popular residential area of L19. The property would be ideal for first time buyers or investors. There are many local amenities, including shops, supermarkets and frequent public transport links. The property briefly comprises of an entrance hallway, large open plan reception room, which is currently a living room and dining room space, and a kitchen. To the first floor, there are two good sized bedrooms, an office space and a large bathroom. There is the potential to extend the office space to be a single bedroom, by taking some space from the bathroom. Externally, there is a good sized yard to the rear.